The demise of the Pony Express and the Overland Mail Service marked the end of an era in western history. The physical remains of both services are extant on public lands in western Utah and are being preserved, interpreted and continually studied. Over the past few years, and especially during the 1976 Bicentennial, substantial Bureau efforts have been devoted to the protection and interpretation of the Pony Express Trail in Utah. Attention was focused on the WestDesert near Salt Lake City, and included the Overland Mail route. The discovery of gold in California coupled with the westward migration of thousands of easterners and the creation of settlements in such frontiers as the SaltLakeValley, established the need for more efficient and faster communications with the East. Three notable figures of that era — Alexander Majors, William H. Russell and William B. Waddell — claimed that a pony rider service could transport mail from the east in only nine to ten days. 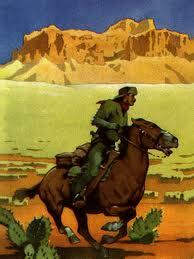 With the establishment of the Pony Express in April 1860, their claim became a reality. Via the telegraph from the east coast to St. Joseph, Missouri, then by Pony Express, communication to California was accomplished in about nine days. This is in marked contrast to the three months previously required. Preceding the Express, George Chorpenning had established a mail and freight service in 1851 — the “Jackass Mail.” This was the first U.S. Mail Contract for service between Salt Lake City and San Francisco. To the east of Salt Lake City, the first mail contract was awarded to Samuel H. Woodson in 1850. Successors included William F. McGraw, 1854-1857; Hiram Kimball, 1857; S.B.Mills, 1857-1858; Hockaday and Liggett, 1858-1859. Russell, Majors and Waddell purchased the mail and transportation obligations from Hockaday and Liggett in 1859, and from George Chorpenning in 1860, and established the Central Overland, California and Pike’s Peak Express Company (see Figure 2). 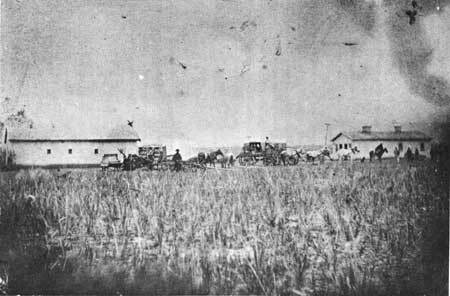 The Overland Mail Company continued operations until its contract was lost to Ben Holladay in 1862. In 1870, shortly after the completion of the transcontinental railroad, the Overland Mail Company changed its route to be adjacent to the railroad which was north of the Great Salt Lake. This represented the distance between Salt Lake City and the California border (Yanks Station). Stations averaged 11 and 3/4 miles apart. According to rider Nick Wilson: The home stations were from 40 to 60 miles apart and one man’s ride was from one station to another. Between the home stations were other stations where horses could be changed. The route between Salt Lake City and Robert’s Creek (now in Nevada) was under the supervision of Major HowardEgan. 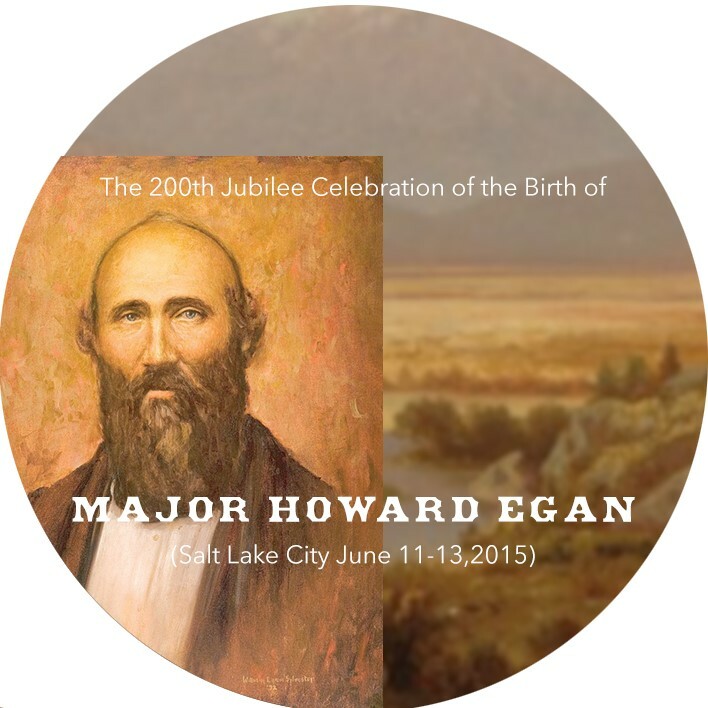 Major Egan, of the Nauvoo Legion, came west with Brigham Young’s company in 1847. His knowledge of the roadometer (used in measuring distance) undoubtedly aided in his responsibility to lay out the Pony Express stations within his division. 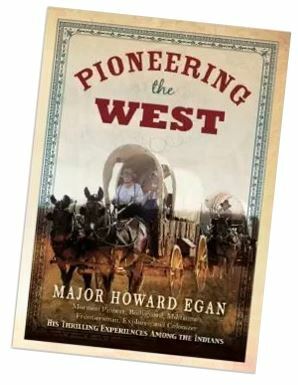 In “Pioneering the West” from the Howard R. Egan estate, the noncontract stations of Pass, River Bed, Black Rock, Boyd’s and Canyon are named in addition to the identified contract stations. 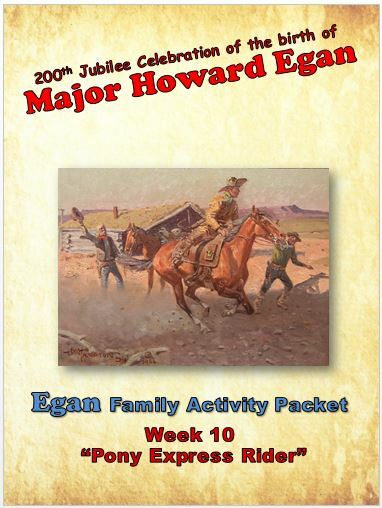 It is of interest to note that Major Egan’s two sons both rode for the Pony Express: HowardRansom and RichardEurastus (Ras) Egan. On the first ride the mail from California reached Salt Lake City April 7, 1860, at 7:45 p.m. The mail from St. Joseph, Missouri, arrived in Salt Lake City April 9 at 6:25 p.m.  Where the first riders met and passed each other is unknown, but by projecting time and speed (about 8 mph) this must have occurred near Pacific Springs, Wyoming. At the Wyoming passing, one writer indicates the rider going east was Dave, and going west was “Charles McCarty.”  Some research indicates the rider going east was ThomasOwenKing. The fastest Express ride was a little over seven and one-half days (the average being ten); it carried President Lincoln’s Inaugural Message. This meant the horses averaged over ten miles per hour from St. Joseph to Sacramento. Under regular conditions the horses would run about seven or eight miles per hour. In comparison, freight was hauled at about four miles per hour and the stage averaged six. The 1861 mail contract stations are listed in the following paragraph. Other identified, or more recent stations, are listed in parentheses. All stations reflect locations within the present geographic boundaries of the state of Utah. The stations are: Needle Rock, Head of Echo Canyon, Half Way, Weber, East Canyon, Wheaton Springs, Mountain Dale, Salt Lake House, Trader’s Rest, Rockwell’s, Dugout, Camp Floyd, (East Rush Valley), Rush Valley, Point Lookout, (Government Creek), Simpson’s Springs, (Riverbed), Dugway, (Blackrock), Fish Springs, (Boyd’s), Willow Springs, (Willow Creek), (1863 Canyon), (Canyon), and Deep Creek. At the time of the Pony Express, Utah Territory (see Figures 1 and 3) included some 65 of the 190 stations along the entire route from Pacific Springs, Wyoming to the California border. It was in 1861 that Congress reduced Utah Territory and established Nevada Territory. Intermittent freighting and stage services continued in Utah’s WestDesert area until the middle 1920’s. The famous Lincoln Highway also passed through Utah using portions of the old mail route. The Pony Express, an important and colorful contributor to the service of the Central Overland, California & Pike’s Peak Express Company, was established in 1860 and had succumbed by late 1861. It lasted only about 19 months and was basically a financial failure, but the associated glamour — both fact and fiction — has assured it a large and lasting chapter in the history of the West. Deep Creek was the home of Howard Egan, the division superintendent for service between Salt Lake City, Utah, and Roberts Creek (near Eureka, Nevada). This well-equipped and service functioning facility was the most westerly station located within the present boundaries of Utah. The western boundary of the Utah Territory at this time was the California state line and Genoa the most westerly Utah Territory station. Harrison Sevier was the station master. Several photographs exist. Buildings included an adobe station, house, and barn (See Photo below). The telegraph established a repeater station at this location in 1861 with George Ferguson being the telegrapher. The station site is presently on the ranch of Sidney (DeVerl) Nichols, Jr. Early photo of Deep Creek Station. A bugle was used by some riders to warn of their approach to the station so their exchange mount would be ready upon their arrival. In Nebraska, William Campbell left his pistol and rifle at his home station to save weight as there were heavy snow drifts across the trail. As he traveled, he passed a pack of hungry wolves which gave chase. When a wolf would come too close, Campbell would lean from the saddle and blow the bugle into the wolf’s face thus frightening them away temporarily until he was able to reach the next station. 1. Gerald F. Harrington, Map of the Pony Express Trail (Oakland: Ca. 1935 — Photostatic copy on file BLM USO, Salt Lake City). 2. Kate B. Carter, Utah and the Pony Express, Centennial Edition (Salt Lake City: Daughters of the Utah Pioneers, 1960), p.3-11. 3. David Nevin, The Expressmen, Old West Series (New York: Time-Life Books, 1976), p. 100,110. 4. Alexander Majors, Seventy Years on the Frontier (New York: Rand McNalley & Co., 1893), p. 184. 5. Carter, Utah and the Pony Express, p. 35. 8. GuyE.Stringham, “The Pioneer Roadometer,” Utah Historical Quarterly, 42 (1974): 265. 9. 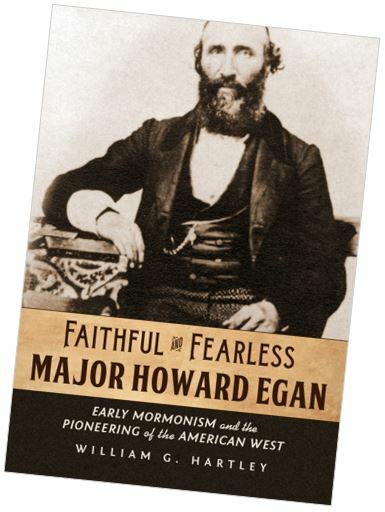 Howard R. Egan, Pioneering the West (Salt Lake City: Shelton Publishing Co., 1901), p. 197. 10. Raymond W. Settle and Mary Lund Settle, Saddles and Spurs (Lincoln, Nebr. : University of Nebraska Press, 1972), p. 63. 13. Carter, Utah and the Pony Express, p. 67. 14. Richard E. Fike, “Those Historic Trails,” Our Public Lands Vol.No. 24, No. 4 (Fall, 1974): p. 8. 15. Bluth, “Supplementary Report on Pony Express-Overland Stage Sites,” p. 26. Source: The Pony Express Stations of Utah in Historical Perspective, US Department of the Interior.